The awards were introduced last year by ECC to recognise and celebrate their top suppliers and the excellent work and services they supply. Openreach, the business responsible for Britain’s largest phone and broadband network, was recognised in the Best Use of Digital Technology category. It has a contract with ECC to deliver superfast broadband to the county’s more challenging areas not included in the private sector’s commercial roll-out of the high-speed technology. A number of innovations have been introduced by Openreach to support the Superfast Essex team. One significant step forward was to provide data for the interactive maps at a property level, allowing the Superfast Essex website to display detailed roll-out information to residents, reducing the number of enquiries being received by the team and contact centre. 95,000 homes and businesses are now able to get superfast broadband speeds of 30Mbs or above as a result of the Superfast Essex programme, which continues to deliver upgrades at a rate of 2,000 properties a month. 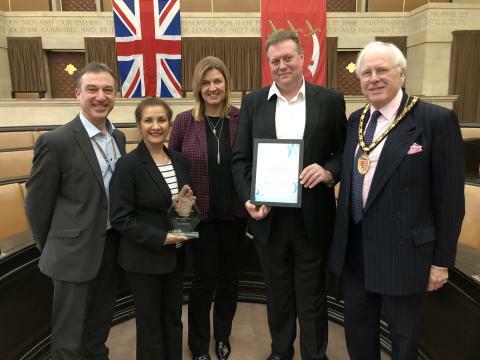 Rowena D’Rosario, programme manager for Openreach, said: “It is very rewarding to be recognised for the hard work we have been doing right across Essex. This is testament to the tremendous efforts of our people, in partnership with Essex County Council on this programme.